Forged and ground with hexagonal shank. 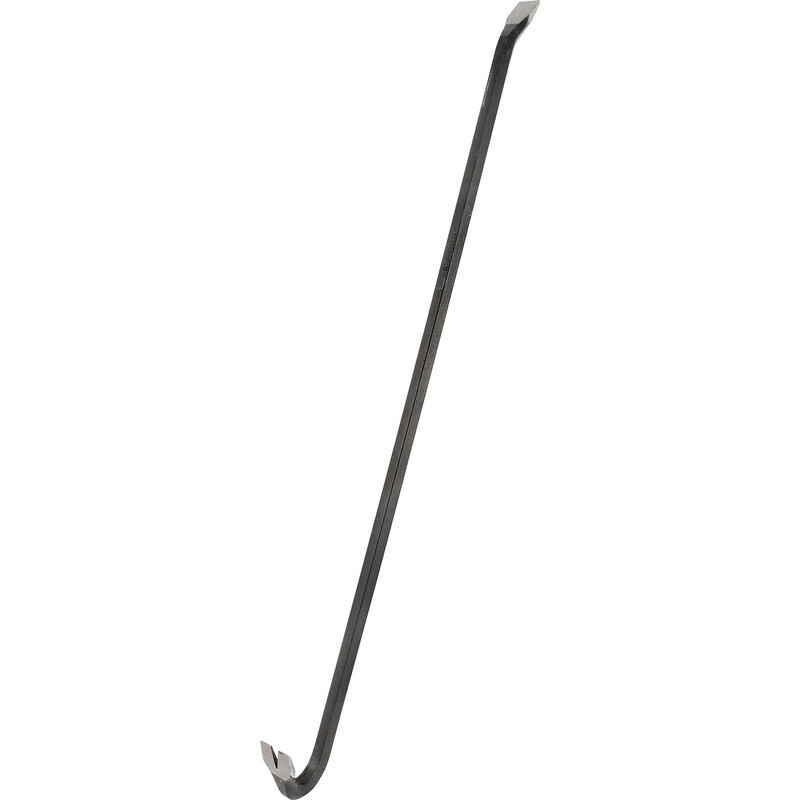 Roughneck Traditional Wrecking Bar 36" (915mm) is rated 4.6 out of 5 by 28. Rated 5 out of 5 by Dorigo from Strong & well made Great value hand tool, I use it regularly for ripping out fence panels but it will be effective for any job that needs a bit of brute force! Rated 5 out of 5 by Buder from All good Tough tool that does the job. Good value. Rated 2 out of 5 by iwb70 from Does it bend? ....unfortunately, yes it does. I bought the 36" one to do general demolition work and it bent and twisted during use. I'm not a gorilla by the way, just a normal bloke. Good price for someone who is careful with their demolition tools though. I can safely say they don't snap! I'm gonna try a high carbon steel one next time. Maybe an old skool Stanley one from a car boot sale. Rated 3 out of 5 by Barney Boo from Nothing Special Expected the crowbar to be thicker, my worry is that the crowbar will snap. Suppose you get what you pay for.